China Design Now opened recently at the V&A, so we made our way over there this weekend to check it out. The show is divided into three sections, each representing one of China's major cities: Shenzhen (population: 10 million; average age: 27), Shanghai and Beijing. Each of those sections loosely represents a particular area of design, so that the Shenzhen section mainly features graphic design, Shanghai is all about fashion, and Beijing gets busy with lots of new architecture (much of it by some familiar western names). Given the staggeringly vast subject the show is covering, it can naturally only offer an itsy-bitsy little taster; but if you view it as just that, it does its job brilliantly. And there's some great stuff in the gift shop. 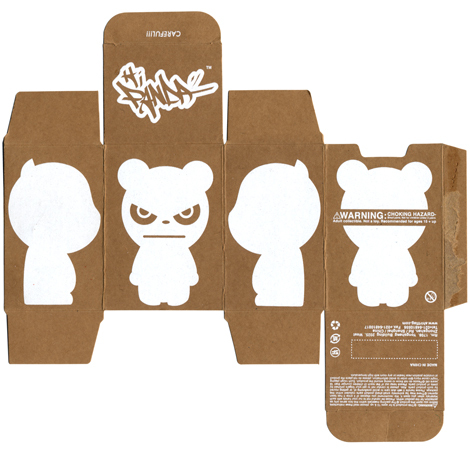 We picked up a Hi Panda vinyl toy by Shirtflag (that's its box up top). 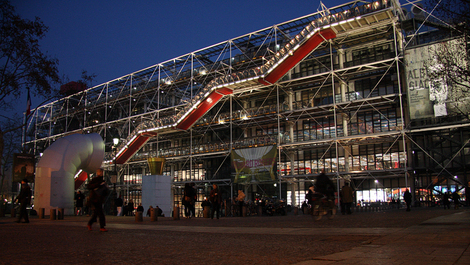 The show runs until 13 July. 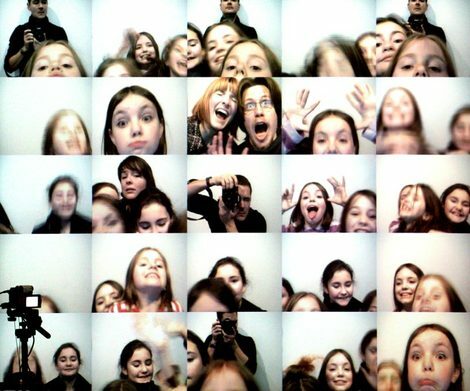 So, cheerio to 2007, and hey there 2008, how you doing? With the predictable glut of articles and features about the year ahead currently littering every magazine and newspaper you pick up, kudos to The Guardian for deciding to run with a pre-emptive review of the noughties, and particularly so for designing the article (in the G2 section) so beautifully. We highly recommend you nip out and pick up a copy. We wanted to link out to the whole feature from here, but interestingly the Guardian Unlimited website has chopped it up into separate segments, and has also somehow forgotten to provide a link to it from their homepage. 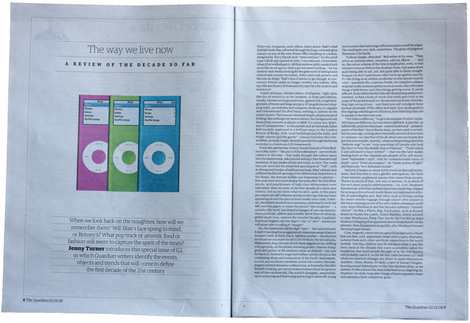 But as such, it rather neatly demonstrates how print media can still do some stuff far better than online media. Don't get us wrong, we love the Guardian site; but it can't (yet) present an article with the same pace and elegance as the newspaper.